If his plans go as hoped, a business owner will have overcome a big hurdle this coming week to become a first for Elk Grove - a combination tattoo and piercing parlor. 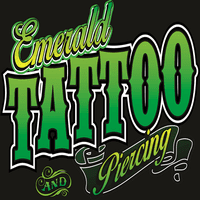 On Thursday night, the Elk Grove Planning Commission will consider a conditional use permit for the Emerald Tattoo and Piercing. The business would operate out of Elk Grove oldest shopping center, The Grove Shopping Center on 9410 Elk Grove-Florin Blvd. Long time residents may recognize the address as space formerly occupied by Dr. John Hildebrand, M.D. The applicant and owner of the proposed business, Joshua Hughes, also operates parlors under the same name in Lodi and Modesto. Hughes told Elk Grove News earlier in February that Elk Grove is a huge untapped market, and that felt he has demonstrated to the city's planning department he will be a welcomed addition to the city. "The planning department has been surprisingly receptive and open to it," Hughes said. "They saw that I wasn't some sort of fly-by-night biker that was going to come in here, smoke cigarettes out in front. That's not the kind of business I run." At that time, Hughes had signed a lease on the space and was hoping to open by late March. Regardless of when he opens, Hughes said he will have four full-time employees. If Hughes' application is approved, Emerald would be the first tattoo shop opened in the city since its 2000 incorporation. A 3-2 vote denied efforts by a previous applicant who tried to open a parlor in Old Town Elk Grove in December 2009. Current City Council members Pat Hume voted for that applicant while Gary Davis and Steve Detrick were part of the majority denial. The planning department's staff report recommends an approval of the use permit based subject to several conditions. Thursday night's meeting starts at 6 p.m.
Hopefully he has made a contribution to the Detrick & Davis campaign coffers, that always seem to work in your favor. It is way, way past time for another untapped market in Elk Grove - a cannabis dispensary. day and age. Cannabis has LONG since been legal in CA. I am a senior and use cannabis for insomnia and pain myself. Getting to Sacramento is arduous and difficult for me, as I must travel by means of our inconvenient e-tran to light rail and then walk a number of blocks to my dispensary. Please, please bring a medical cannabis dispensary to Elk Grove - soon. I'm gonna get me a circuit board job, then go get a tattoo of a soccer ball, and then treat myself to a classy comfort food meal at one of our classy dining establishments--aah living the good life in Elk Grove! Anon. 8:09....Need to schedule a stop-over at one of our 65 nail salons too.